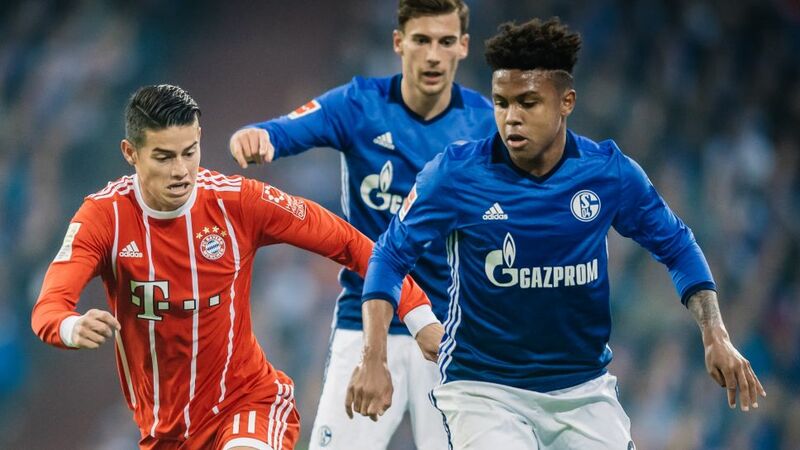 Bundesliga | US youngster Weston McKennie makes first Bundesliga start for Schalke... against Bayern Munich! US youngster Weston McKennie makes first Bundesliga start for Schalke... against Bayern Munich! USA youngster Weston McKennie had a real Bundesliga baptism of fire on Matchday 5 when he made his starting debut for Schalke against none other than Bayern Munich. The 19-year-old started alongside Nabil Bentaleb in central midfield against the reigning Bundesliga champions and was by no means overawed by the visitors' star-studded ensemble, even if Bayern went on to record a 3-0 victory. McKennie played until the 57th minute, when he was replaced by Breel Embolo. "Being able to play from the beginning is any kid's dream," he told bundesliga.com after the game. "Of course, I wish it was a better result and we always have room to improve. They are one of the top teams in the world but I believe we're able to compete. Today just wasn't really our best." The Texas native was promoted to the senior Schalke squad at the start of the 2017/18 campaign after impressing in the youth team last season. He had previously made two substitute appearances this term, coming on in the closing stages against RB Leipzig on Matchday 1 and against Stuttgart on Matchday 3.